Geography is the study of Earth. That's a big subject. It's almost too big to even think about. Never fear! The 5 Themes of Geography are here to help us with that problem! I’m glad you asked! Let’s start off with some definitions. Don't worry about writing it all down. I've put an infographic below that ties it all together for you along with some examples of how the 5 Themes apply to a very familiar place, New York City. Later, I will discuss some examples of how to apply the themes to a study of ancient civilizations as well. The 5 Themes of Geography are Location, Place, Human/Environment Interaction, Movement, and Regions. Location is where on the Earth something is. This can be an absolute (exact) location using a latitude and longitude coordinate. It can also be a relative location. A relative location describes the location of a place based on what’s around it. For example, my desk is under the window and between my dresser and bed. Place is the human and physical characteristics that make a place unique. Physical characteristics include climate, landforms, vegetation, wildlife, elevation, etc. Human characteristics include culture, language, customs and traditions, clothing, religion, man-made landmarks, cities, and more. Anything you can think of that distinguishes one place from another is an example of the theme of place. Movement is how people, goods, and ideas get from place to place. This includes methods and patterns of transportation, trade, migration, and communication. HEI is how people affect, use, and alter the environment. This can include pollution, farming, land use, urban development, recycling, mining, and domestication of animals, just to name a few. HEI is also how the environment affects people and the way people live. This includes natural disasters, climate, ocean currents, erosion, vegetation, landforms, and much more. Regions are areas with similar physical or human characteristics. Pick any characteristic from the theme of Place and find other places with that characteristic. Boom! You have a region! Three types of regions are formal, functional, and perceptual. Formal regions are based on very specific characteristics or data like national or state borders, geographic features such as elevation or climate, or statistics like population. Functional regions are focused on areas around a central point and how those areas are connected. Look at an airline hub map, and you are looking at functional regions focused around the airline's hubs. Perceptual regions are based on feelings or non-specific information rather than hard data. Have you ever heard someone refer to "downtown?" That is a perceptual region. It doesn't really have any specific boundaries. The "Southwest" region of the United States is perceptual too, unless you specify which states are in it. Here's your handy 5 Themes of Geography Infographic! I hope this infographic was helpful to you! Please feel free to share it, download and print it, or put it in your presentation. If you put it on your website or share it on social media, please link back here because it helps people find the site. Before we continue on, check out James White's 5 Themes of Geography song. I can't get the song out of my head. Learn it, it'll help you remember this stuff! Now… My favorite subject to teach is ancient civilizations. Here are some more details on the 5 Themes and some specific examples of how they apply to ancient history. 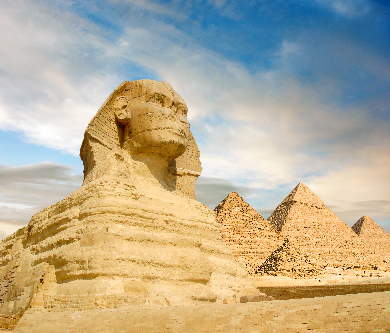 The Sphinx is located at 29.98 North, 31.14 East. 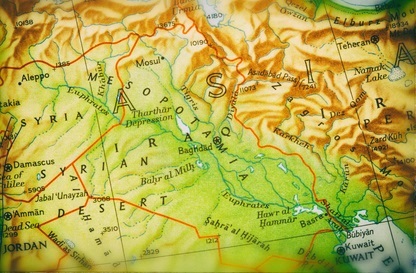 Mesopotamia lies between the Tigris and Euphrates Rivers in modern Iraq. This is relative location because I gave you Mesopotamia's location RELATIVE to the Tigris and Euphrates. 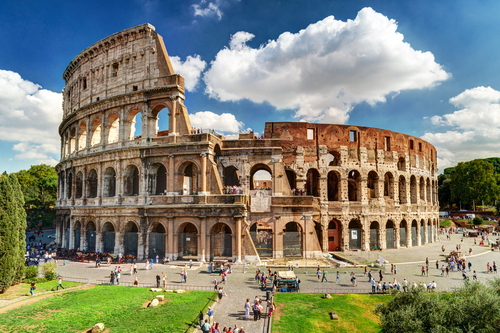 In Ancient Rome people were entertained by exotic beasts, gladiators, and other spectacles in the Colosseum. This is an example of a human characteristic of Place. It is part of what makes Rome unique. The Ancient Mesopotamians built temples called ziggurats. This is an example of a human characteristic of place. 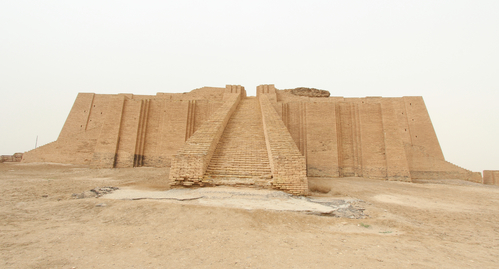 Ziggurats helped make Mesopotamia unique compared to other civilizations. 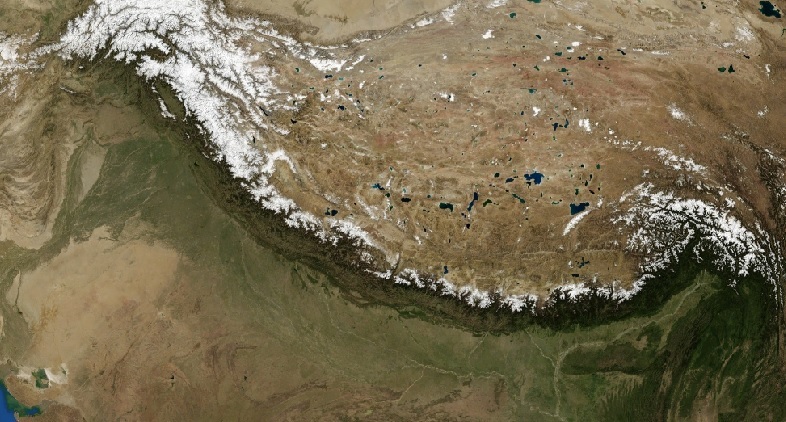 The Himalayas provided a natural protective barrier to the civilizations of Ancient India and China. This is an example of a physical characteristic of Place. The Himalayas made those civilizations and that part of the world unique. It is also an example of Human/Environment Interaction because the mountains helped shape life for those civilizations and the people who live there today. 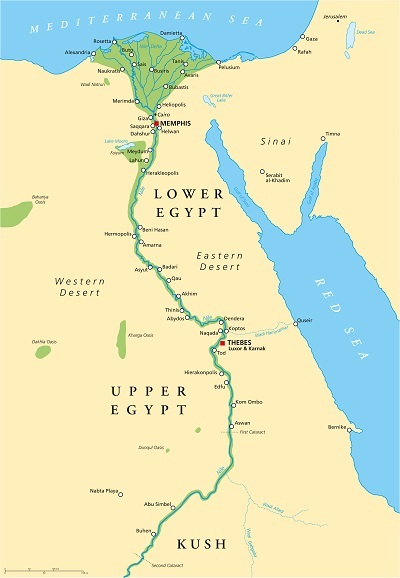 People, goods, and ideas traveled up and down the Nile River. The Nile was uniquely suited for this purpose. The river flowed to the north, toward the Mediterranean Sea. Ancient traders and travelers could simply float with the current. The trade winds blew from north to south, so sailors could raise the sails, catch the wind, and go against the current. This is an example of the theme of Movement. It also fits into the Human/Environment Interaction theme. 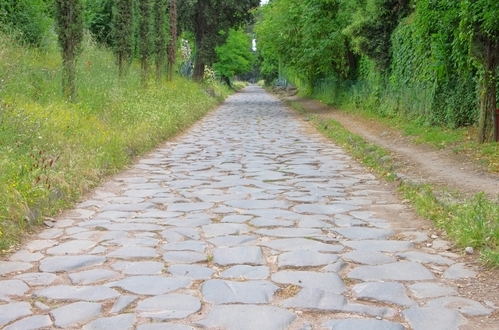 The Ancient Romans built a network of roads throughout the lands under their control. This allowed faster and better trade, communication, and the movement of troops. All of the River Valley Civilizations - Ancient Mesopotamia, Egypt, China, and India - depended on rivers for food, building materials, transportation, and many other things. They depended on yearly floods too. 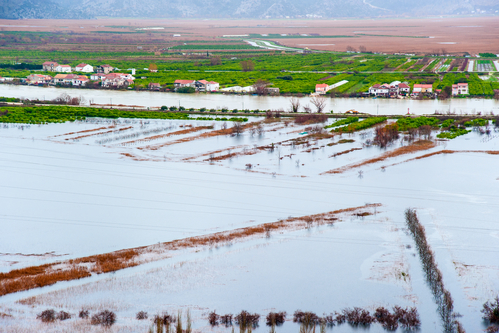 The floods brought destruction, but they also left fertile silt behind on the riverbanks. Ancient farmers planted their crops in the silt and were able to produce a food surplus that allowed civilization to grow along these riverbanks. As time went on, these ancient civilizations modified the environment by digging canals to bring water from the rivers to where they wanted it. This map shows land and sea routes along the Ancient Silk Road. This is an example of functional regions. 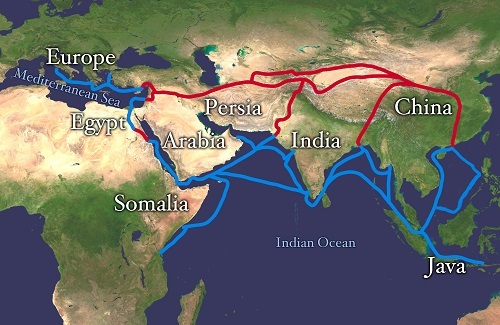 The regions are based on the Silk Road and the areas that it connected for trade and interaction between civilizations. This is also an example of the Movement theme. The desert west of the Nile was the "Land of the Dead" to the Ancient Egyptians. This is why most tombs were placed on the west banks of the Nile. This is an example of a perceptual region because it was based on beliefs and feelings. If referred to by its modern name - the Western Desert - it's a formal region. 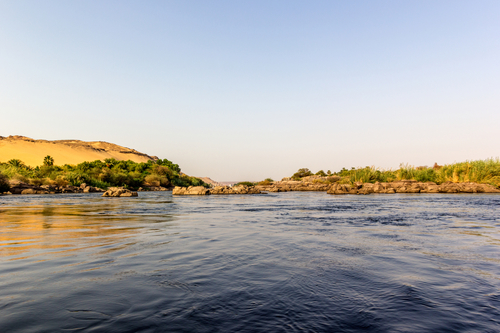 The Nile and its connections to the communities that depended on it is an example of a functional region. What other examples of regions can you find on this map? Let's get a list going in the comments! Thanks for reading! I wrote this article to be helpful to students and teachers who are learning and teaching about the 5 Themes. If it was helpful, please consider sharing it using the buttons below because your shares help me help more students and teachers! I would also love to hear from you with your feedback on the article or your questions. Leave your questions and comments below. Thanks again, and I'll see you next time! Update -- Do you have a favorite movie? Me too...Click here to find out what it is and how you can use yours to practice the 5 Themes of Geography. 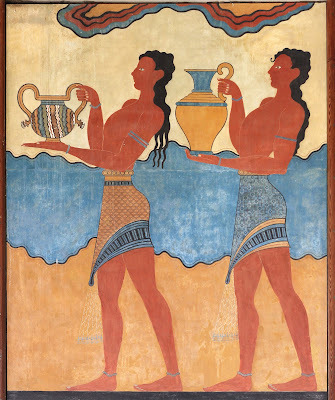 Also, here's a post on the 5 Themes applied to ancient Greece.